On Friday night, the Splendid Hotel in Ouagadougou was attacked by an al Qaeda group known as AQIM. The hotel as well as a nearby cafe and vehicles on the street were badly damaged due to fires and explosions that were detonated. Twenty-three people were killed in the attacks and at least 33 people were wounded. All four of those responsible have been reportedly killed by authorities, though no further information has been released about the suspects. At least 126 hostages were freed on Saturday morning from the scene, though this tragic incident is far from over. The latest on the Burkina Faso attacks concerns an Australian couple who have been kidnapped reportedly by a different al Qaeda affiliate. The couple had been reportedly kidnapped overnight in Baraboulé, a town near the Mali border about 150 miles to the north of Ouagadougou. The kidnapped couple have reportedly been identified as a doctor, Ken Elliot, and his wife, Joceyln Elliot. They had been living in Burkina Faso for over four decades and operated the Friends of Burkina Faso Medical Clinic in Djibo. The altruistic medical facility, which is loosely affiliated with Christianity, provides services for people all over the Ivory Coast. It's unclear whether the Eliots' faith or their efforts in the country had made them a target to AQIM. They are reportedly still alive, though no information has been released about their whereabouts since being taken. An unnamed source reportedly told the AFP that the kidnappers may be taking the couple to Mali. They were taken at about 4 a.m. They were sleeping and they were taken from their beds. The door was found open and his [Ken's] glasses were found on the side. The Burkina Faso attacks have been widely condemned across the globe, with prominent leaders from the United States, Britain, Norway, and Denmark all speaking out about the incident. 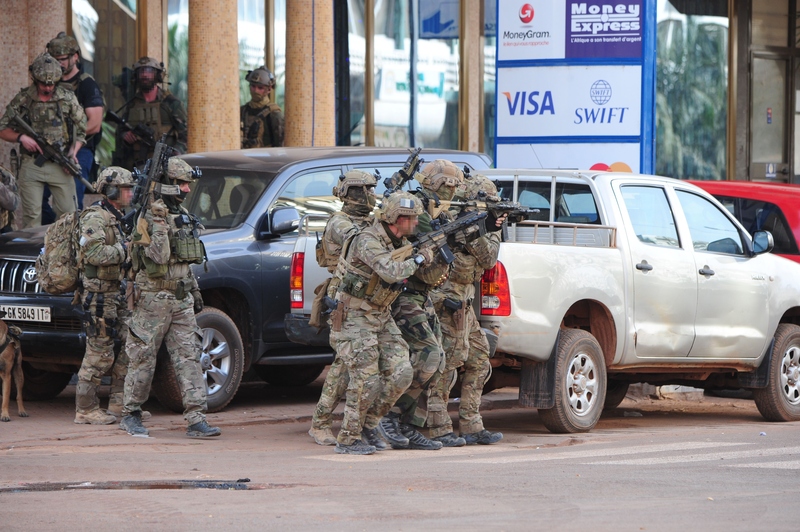 French special forces as well as Burkina Faso authorities helped contain the Ouagadougou attacks. An Italian bishop in the area described the city as returning to normal, though a curfew had been implemented. No further damages or attacks have been reported, though the aftermath of this incident is far from over. As of this writing, forensics and medical personnel are reportedly still on the scene assessing the damages and investigating what happened at the Splendid Hotel.